HM-YP400/YP600 Automatic Box Pressing Machine is mainly for avoiding box bubbles, and is extensively suitable for cell-phone boxes, gift boxes, cosmetics boxes, watch boxes, slanting boxes. The machine adopts the whole-frame design, safe and beautiful, stable operation. 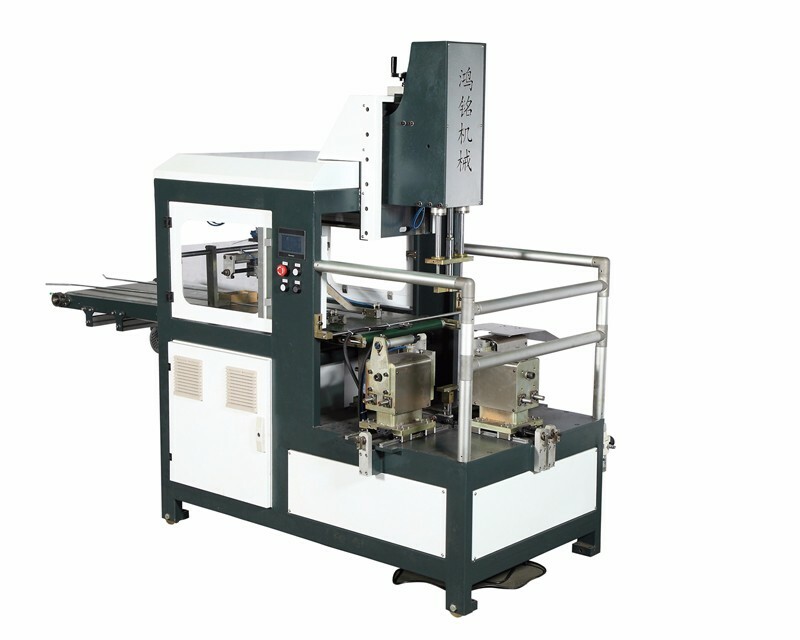 HM-YP400/YP600 is usually connected after the fully automatic rigid box machine, which can realize automatic box bubbles removing. This machine also can be used independently, but needs worker to put on box manually. The whole machine adopts PLC, bringing high-automation, simple operate and easy maintenance. 1. Robot can automatic catch box. 2. It can adjust cylinder pressure stroke according to the height of box. 3. Delivery belt will automatic to stop working after box into it. 4. Box-out direction can be changed freely. 5. Box-release structure adopt needle to make it back. 6. Use automatic stop system when machine have error. 7. This machine can move freely.